Find a Reputable Mover: To avoid dealing with a scam moving company, we suggest you research moving companies prior to contacting one directly. Try getting direct referrals to a mover from your realtor, mortgage broker, co-workers and or neighbors. If you are unable to get a direct referral, you can look online for help in vetting movers. Sites such as the BBB, Angie’s List, and Yelp can be a good resource, but you should avoid sites that allow companies to contact you and or offer to provide quotes from multiple movers. 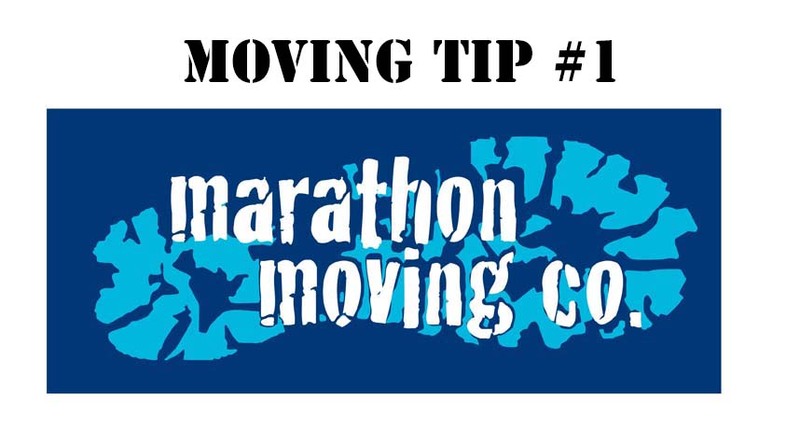 Plan Ahead: We suggest contacting a mover 12-20 weeks prior to your move date. This will allow you time to schedule an in-home estimate with multiple firms, receive and review quotes, and then schedule with the mover of your choice. Declutter: We suggest that you don’t try to pack as you declutter. Simply go through your entire home including storage areas and identify the items you will no longer need at your new home. Not trying to pack simultaneously will allow you to start early so there is plenty of time to set up pick-ups or drop-offs to charities, friends, family, consignment stores, or last resort the dump. You may find great joy in finding a second home for your things and it can reduce your tax bill and move costs as a bonus. Be Prepared: If you are packing yourself, try to give yourself enough time. Start in the storage areas and or least used rooms in your home. These areas are generally the least disruptive to pack early. Use professional packing materials and watch tutorial videos online to learn tips from the pros. If you have hired your mover to pack as well, you should go through the areas they will be packing beforehand to remove personal papers, currency and jewelry. These items generally aren’t covered by moving insurance so it is best if they can be moved by you. Hazardous Materials: Don’t forget to have a plan to dispose of or transport your hazardous materials. Paints, flammables, and combustibles are not transportable in a moving van. This includes fuel in mowers, the gas grille tank, and many cleaners. Try to identify these items and beforehand and discard at proper facility or keep enough room in your personal vehicle to move to your new home. Be There: It is always preferable for you to be there and be as distracted as little as possible on move day. Having your attorney represent you at closing and having a sitter for the kids are great ways to reduce stress on move day. Being there and being available to answer questions for your move crew will help make for a smoother move day.